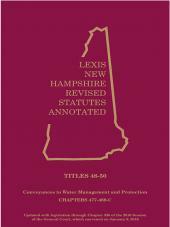 Authoritative reference on water rights with national, interstate, state-specific and international coverage. • Water is the resource that will likely require the greatest adaptation to many of the most critical impacts of climate change, and may also provide opportunities for climate change mitigation. 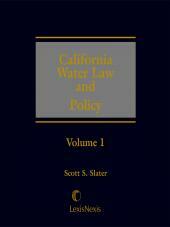 • Water has long been a scarce resource in much of the United States, and increases in population and development have exacerbated this problem. 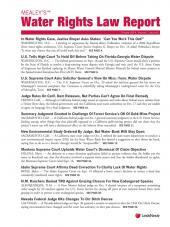 • Likewise, water quality issues have intensified with increases in population and development. 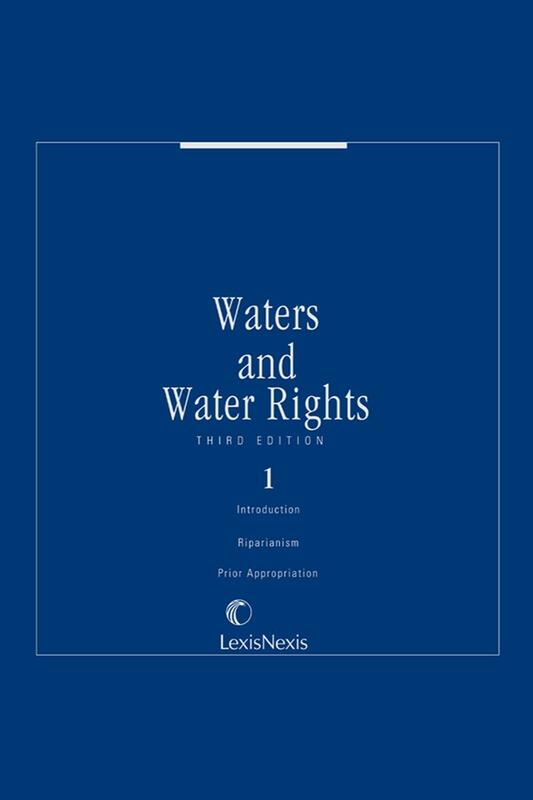 • As a result of the above conditions, litigation and government regulation over the allocation, use, and quality of water continues to grow. 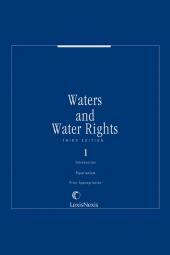 Amy K. Kelley has been a contributing author to Waters and Water Rights since 1991, and the Editor-in-Chief since 2007. She is a Professor at the Gonzaga University School of Law, and has taught as a visiting professor at University of Texas, University of San Diego, and University of San Francisco schools of law. Professor Kelley is a former Treasurer of the Rocky Mountain Mineral Law Foundation and the recipient of the Foundations Clyde O. Martz Teaching Award, and was a former chair of the AALS Sections of Environmental Law and Natural Resources Law. She also served as a law clerk for the U.S. District Court, Sioux Falls, and was in private practice in Aberdeen, South Dakota.